For our last “logic discussion” of the year, my group and Alexandra got together to discuss a podcast called “The Yuk Factor“, on disgust reactions and the role they can/do/should play in ethical decision-making. 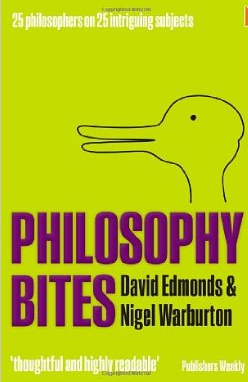 This came from the “Philosophy Bites” series, and involved Nigel Warburton interviewing Oxford philosophy prof Julian Savulescu. We’ve been listening to “Bites” since the summer (plus working through the last ‘Thinking from A-Z’ entries), after a miserable experience with another useless “Tooth & Claw” episode — not written up yet — made us realise we had to up our standards. Savulescu argued that the speed with which emotional reactions occur can be handy when rapid responses are needed, and that disgust often has an evolved biological basis, guiding behaviours away from those that could impair fitness (e.g. eating food that could make you sick; risking inbreeding by mating with close relatives). However, this does not make them useful in reasoned ethical guidelines…hmmm… struggling to recall exactly why, but partly because they are emotional rather than rational; partly because their evolutionary bases may well be irrelevant in the modern world; and partly because they’re prone to arbitrary or transient cultural biases (a nice example he gave was the way that homosexuality would have been thought abhorrent a few decades ago, but is now largely accepted, at least in the Western world). He was very articulate (despite my amnesia), and we struggled to find ways in which he could have better presented his arguments (our main aim, rather than analysing the content per se). However, one was the way he used the disgust you get after food poisoning to illustrate how such feelings can be biologically useful. This seemed irrelevant because no-one would ever treat their own learned queasiness about eating a type of food as a reason to prevent other people from doing so (which is what happens when one finds something morally repugnant). Another was his claim that anyone would feel disturbed conducting an abortion (he’s a medic by training), and that by implication there’d be something amiss if you weren’t; we suspected (especially those of us unmoved by the deaths of very young, pre-conscious foetuses) that this was a form of ‘poisoning the well‘. One last quibble is that the show opened with a claim that “yuk” is an onamatopoeia. Since the Spanish equivalent turns out to be “puaj”, the French, “beurk” and the German, “igitt”, I’m not convinced!